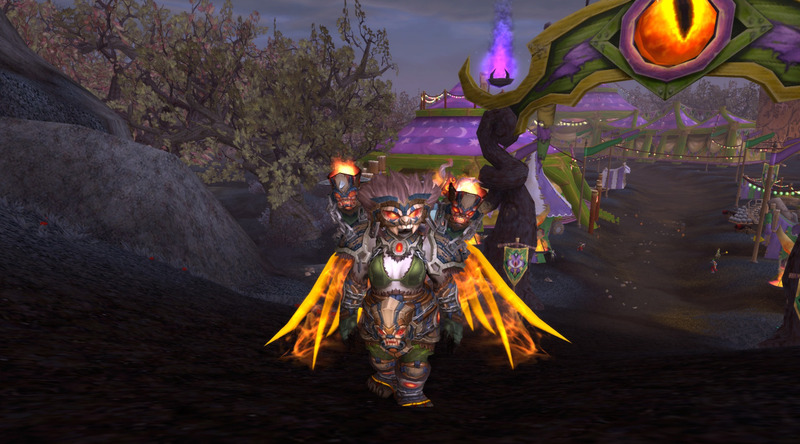 I got my Blazing Wings! I wasn’t patient enough to wait for the bug to be fixed, so I got a bit crafty, and instead jumped on my poor neglected Death Knight on Aman’Thul to try my luck. Thankfully Aman’Thul is as dead as ever, and there were only a handful of people attempting the Brood of Alysrazor achievement. I also did the trick of flagging myself for pvp, which did make a difference until I came across other people doing the same thing. Last night I had 3 good runs – 42, 46 and 48 (the 48 was a killer! I was so disappointed!) Despite the quiet of the server, though, there were still too many people around taking those last few rings I needed. So I left it and tried again first thing this morning. I got the achievement of my first run. I’m so pleased! 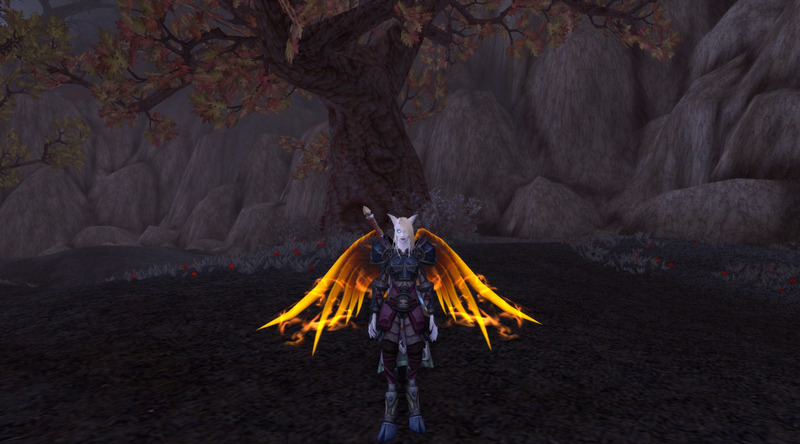 As soon as these wings were shown on WoWhead I knew I had to have them. For those who are wanting a bit of help, I got a map from a new Facebook group I joined, WoW Healers. It was a good starting point. I didn’t follow it exactly, though. After a few runs I realised there were a few parts I was doing wrong and the buff would wear off, so figured out a path that would suit me. (Also with people taking the rings, it made following this more difficult.) You need 50 rings for the achievement, and there are more than 50 rings around the place. There are quite a few on the Eastern side of the island, so I saved those for last, making sure I had enough time to get them all.